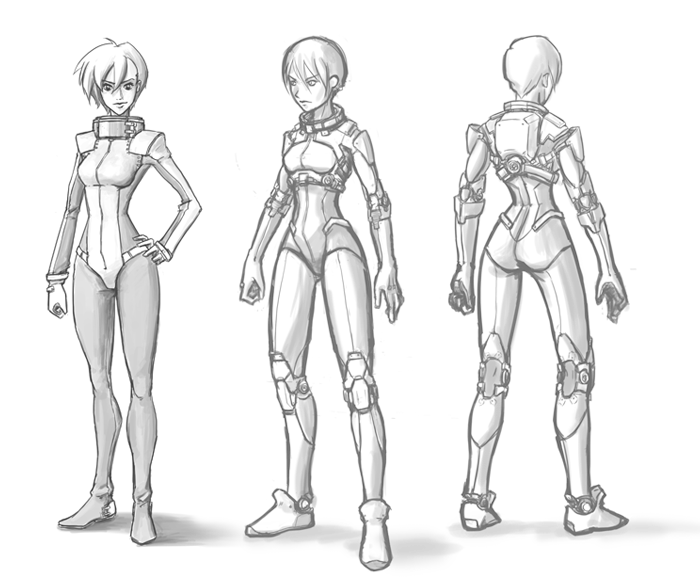 These here drawin’s are early concept art of the Legions of Spacemars pilot suits. I really do enjoy the gundam / evangelion style. I decided to go with a more realistic design for the actual suits. This entry was posted on Wednesday, November 9th, 2011 at 12:29 am and is filed under Legions of Spacemars. You can follow any responses to this entry through the RSS 2.0 feed. You can leave a response, or trackback from your own site.